Gudeg is a traditional food from Central Java and Yogyakarta, Indonesia which is made from young Nangka (jack fruit) boiled for several hours with palm sugar, and coconut milk. Additional spices include garlic, shallot, candlenut, coriander seed, galangal, bay leaves, and teak leaves, the latter giving a brown color to the dish. It is also called Green Jack Fruit Sweet Stew. 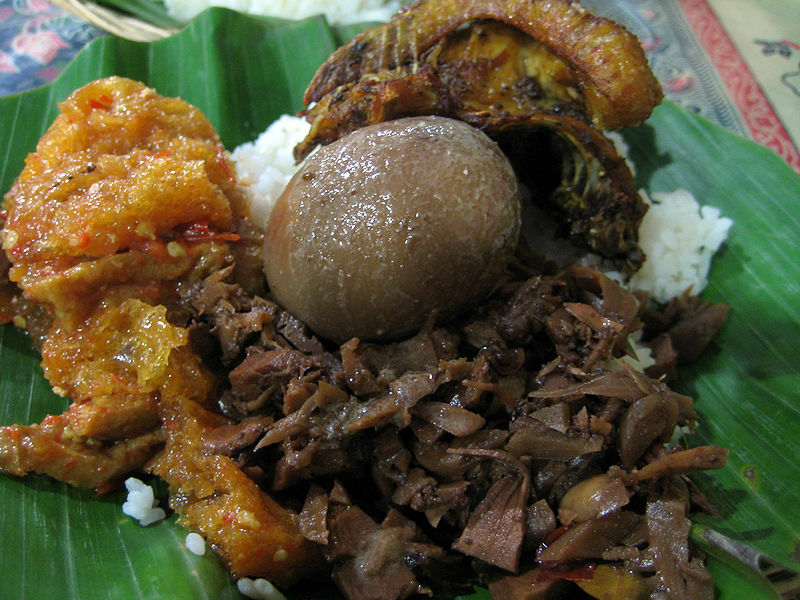 Gudeg is served with white rice, chicken, hard-boiled egg, tofu and/or tempeh, and a stew made of crispy beef skins (sambal goreng krecek).